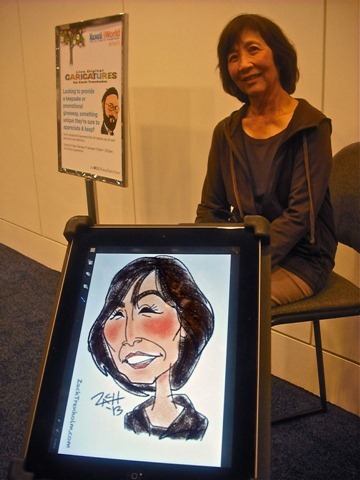 What’s cooler than going to Macworld/iWorld and having a personal caricature done as a keepsake for the event? Having the caricature finger sketched on an iPad of course. And that’s exactly what was on offer at this year’s event – courtesy of Zach Trenholm. Trenholm worked as a celebrity caricaturist for the press for many years and now specializes in sketching live at special events. How great must that be to have that kind of talent and have that as your day job. 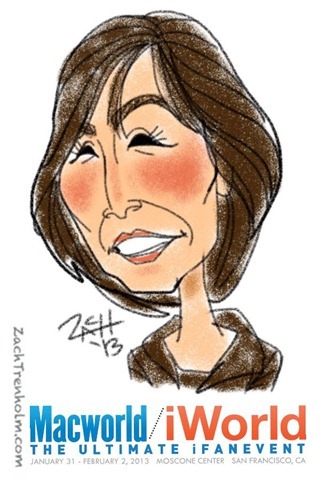 Trenholm created these using the Procreate app on an iPad 3. 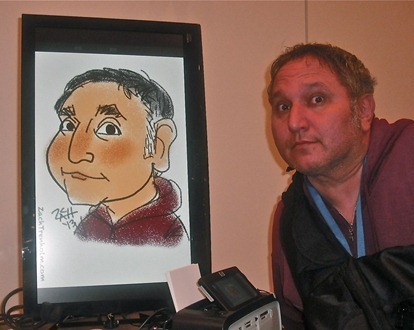 If I had the budget I’d go to Macworld just to have one of these done and see it done live. Previous PostMy iPad mini: Jailbroken for the First TimeNext PostNo Office for iPad: Microsoft Leaving Billions on the Table?